Apple has excellent quality control and often ranks at the top in customer satisfaction surveys. Still, a few units with pixel problems have been reported. Shortly after purchase you should examine your iPad screen for dead or stuck pixels. First, make sure your screen is clean so you don’t mistake specks of dirt for darkened pixels. Use a quality microfiber cloth. (I’m surprised Apple doesn’t include one with the iPad.) The iPad glass is oleophobic, meaning greasy smudges can be easily wiped off. A simple test for dead pixels is to run the iBooks app and flip to an empty page in any book to get a white background. Dead pixels will show up as tiny black dots. Rotate from portrait to landscape to get a good look. However, I have a better suggestion. To check the iPad screen thoroughly you should cycle through a range of colors. The free iPad app called ColorSpin Flashlight may help. The color of this app is set based on how you tilt your device. 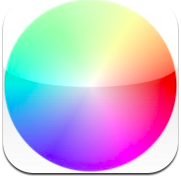 Rotate your iPad like a steering wheel and you’ll go through a range of colors. Again, dead pixels will show up as tiny black dots. Stuck pixels won’t change color as you change the background color. Want that white background I talked about above? Just double-tap the screen. Most likely, your display will be pixel perfect. If you do discover a few bad pixels in annoying locations on your screen, contact your retailer or a local Apple Store and see about exchanging the iPad for one without dead pixels. 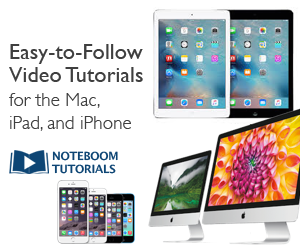 This tip is an excerpt from my eBook iPad Academy: Tips, Tricks and Clever Techniques.